Imagine being pregnant. Now imagine you are at one of your routine OB appointments, legs in stirrups, when the OB asks if you have any experience with mindfulness practices. She’s already told you about the importance of nutrition and exercise, rest and self-care. But what about your mental well-being, she asks? Dr. Sona Dimidjian—professor in the Department of Psychology and Neuroscience at the University of Colorado—has every intention to support a world in which this kind of conversation is the norm. Where mindfulness practices during pregnancy are as commonplace as prenatal vitamins and prenatal yoga, as general-public as books like What to Expect When You Are Expecting. Early on in her studies, she was drawn to do work in particular with women during pregnancy that had a history of depression. These women run a higher risk of becoming depressed again during pregnancy and postpartum than the general population of women. According to an article published last year by Dimidjian and her colleagues in the Journal of Consulting and Clinical Psychology, women of childbearing age represent the largest demographic group at risk of depression, and antidepressants are frequently used to manage depression during pregnancy. The next trial was larger and more randomized, with 86 women who fit the same criteria as those in the previous study. Half of the women received the 8-week MBCT-PD class, while the other half received treatment as usual (TAU) through Kaiser. They found that the women who received the class had a 30% lower of a chance of relapse than those in the TAU group. I think of my own experience with pregnancy, and the unexpected anxiety I felt postpartum, alongside a tremendous amount of joy. 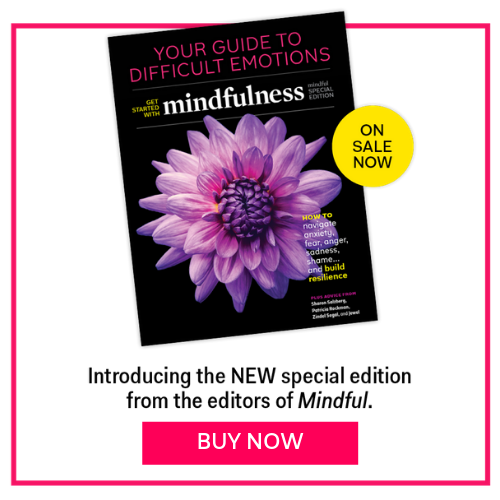 I am someone who is familiar with meditation, and yet, all of my techniques flew out the window during pregnancy; I was so busy “preparing.” Like the women in the study, I do have a history of depression, but I had not experienced noticeable symptoms in years. However, I saw countless new moms experience the same anxiety and inner turmoil, especially in those first few months, regardless of their respective histories. I believe it would have been immensely helpful for all of us if MBCT-PD had been part of our prenatal care packages. “Paying attention to what is your experience moment-to-moment is the core aspect of mindfulness practice,” Dimidjian said. Over the course of the 8-week, MBCT-PD course, the women begin to develop the skill to focus in particular on the places where they are vulnerable. Dimidjian reports there is a lot of variability in women. For some, that means becoming aware of anxiety, where it lies in the body and mind. For others, it’s being aware of a tendency to spin out with thoughts about the future. Dimidjian refers to each woman’s particular experience of angst as her “relapse signature.” You become more aware of the signs that you are at increased risk and your relapse prevention plan is personal. And, as is often the case with mindfulness practice, when attention increases in one area of life, the awareness expands in many other areas, as well. A mother who is able to care for and attend to her own vulnerabilities will have much more access to those very same skills as a parent. “Pregnancy is this unique window where women have the motivation and opportunity to learn these skills to pay attention to themselves and to care for themselves in deeply nourishing ways,” Dimidjian said. We know the ways in which a mom struggles can also make life more difficult for their children. Yet, we have a lot to learn about the extent to which moms learning to care for themselves fully—their physical and mental well-being—can offer benefit days, months, years to come for their children. And that is the direction where Dimidjian’s research is headed. Dimidjian said she currently has two questions of highest priority: The first— How can we increase women’s access to this training? Can we make this intervention widely available through OB and prenatal care? The second—to what extent does offering moms these skills also help to protect their children and help to equip their children with skills of enduring well being? That is what it all boils down to. Interventions that bring a deeper sense of self-knowing and well-being to mothers allow them, in turn, to model this behavior for their children. We can’t possibly have the foresight to see how it ripples out from there, but we can be sure that it does. The Mindful Path to Well Being During Pregnancy and Early Motherhood, by Sona Dimidjian and Sherryl H. Goodman, with audio guided meditations by Sharon Salzberg, forthcoming, Guilford Press.